Omaha, Nebraska is chock full of things to do! 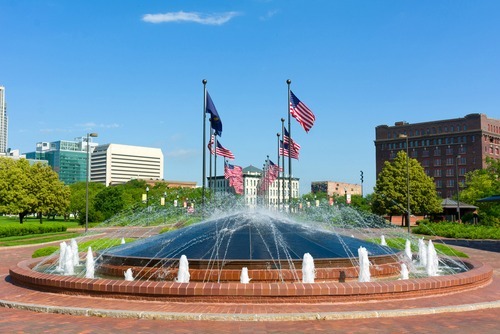 Whether you’re a sports fanatic, animal lover, art enthusiast, history buff, foodie, or fashionista, there are plenty of things to do when you’re in Omaha! Here are just a few to get you started. The Fertile Ground Mural Project depicts the history and evolution of Omaha through masterful artistry, based on intense research and photographs of Omaha residents, painted on the Energy Systems building in downtown Omaha as a gift to the city. The Peter Kiewit Foundation partnered with the Bemis Center for Contemporary Arts and commissioned artist Meg Saligman who, along with local artists, spent six months post-research completing the 32,500 square foot mural. There are lesson plans and activities constructed around the Fertile Ground Mural Project, which is located on the east and north exterior walls of the Energy Systems building at 13th and Mike Fahey Street. The Henry Doorly Zoo and Aquarium is located at 3701 S 10th Street, Omaha, Nebraska 68107. This zoo has received several awards as Nebraska’s number one visited attraction, and by Trip Advisor as the top zoo in the world, and largest zoo in the world by Touropia.com. The zoo is open year-round, except for Christmas. Hours vary by season. For more information, call 402-733-8401. The Tiburon Golf Club and Banquet Hall is located at 10302 South 168th Street in Omaha, Nebraska. This 27-hole championship golf course is set on twelve acres of lakes and wooded areas for spectacular views. Not only does Tiburon offer three distinct nines, but the recently remodeled clubhouse, sports bar, banquet facility, and golf pro shop are all top notch. For more information, call 402-896-1323. Heartland of America Park is located at 800 Douglas Street in downtown Omaha, Nebraska. Heartland of America is a thirty-one acre park connected to the Lewis & Clark Landing, where the expedition team, during explorations in 1804, supposedly discovered prominent earthen mounds, which may have been remains of a former village. The park features a lake and several fountains, including a computerized fountain with light show. For more information about the park, call 402-444-5900. The TD Ameritrade Park is located at 1200 Mike Fahey St, Omaha, Nebraska 68102. The TD Ameritrade Park is home to the Creighton University Bluejays men’s baseball team, and to the NCAA men’s college world series. For more information about games or tickets, call 402.546.1800. The General George Crook House Museum is located at 5730 North 30th Street in Omaha, Nebraska. General Crook was a hero of the Civil and National Indian wars, and won the title, “greatest Indian fighter in the history of the U.S.”. His home, constructed in 1879, has been authentically restored and is on the national register of historic places. For more information, call 402-455-9990. Lauritzen Gardens is located at 100 Bancroft St, Omaha, Nebraska 68108. Lauritzen Gardens features twenty distinct garden areas referred to as a living museum of unique four-season plant displays, as well as exhibits, gift shop, and café. The botanical gardens is open daily 9 a.m. to 5 p.m. except Thanksgiving, Christmas and New Year’s Day, with special twilight hours during certain seasons. For more information about the Lauritzen Botanical Gardens, call 402-346-4002. The Old Market is one of Omaha’s most exciting and historic neighborhoods. Seventeen acres of Cobblestone streets lead to food, fun, shops, galleries, and more. Old Market is bordered by South 10th Street to the east, 13th Street to the west, Farnam Street to the north and Jackson Street to the South. There are several parking garages and metered parking spaces for visitors. For more information, call 402-916-1796. There’s something for everyone to enjoy in Omaha, Nebraska. Whatever your interests are, Omaha has plenty of things to do! The area is also home to myriad restaurants and a bustling nightlife. 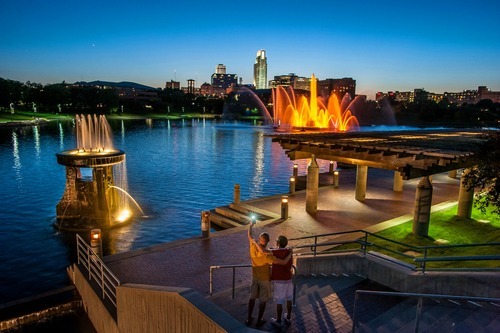 Are you looking to call Omaha home? Contact your Connie Betz today to tour available properties for sale in Omaha, Nebraska. List of things to do in Omaha Nebraska for sports fanatics, animal lover, art enthusiast, history buff, foodie, or fashionista, Omaha has much to do!